My blog has certainly been neglected lately. We have been having phenomenal weather and so, we spend our time outside exploring soaking in all the vitamin D we can get before it turns gray once again. It turned gray this week and therefore, we are enjoying a pumpkin wonderland of autumnal bliss and making the final final decisions about Halloween costumes. With both P and J in school this year I find myself with ample "me time" and I have been moping around deciding what I should do with myself. 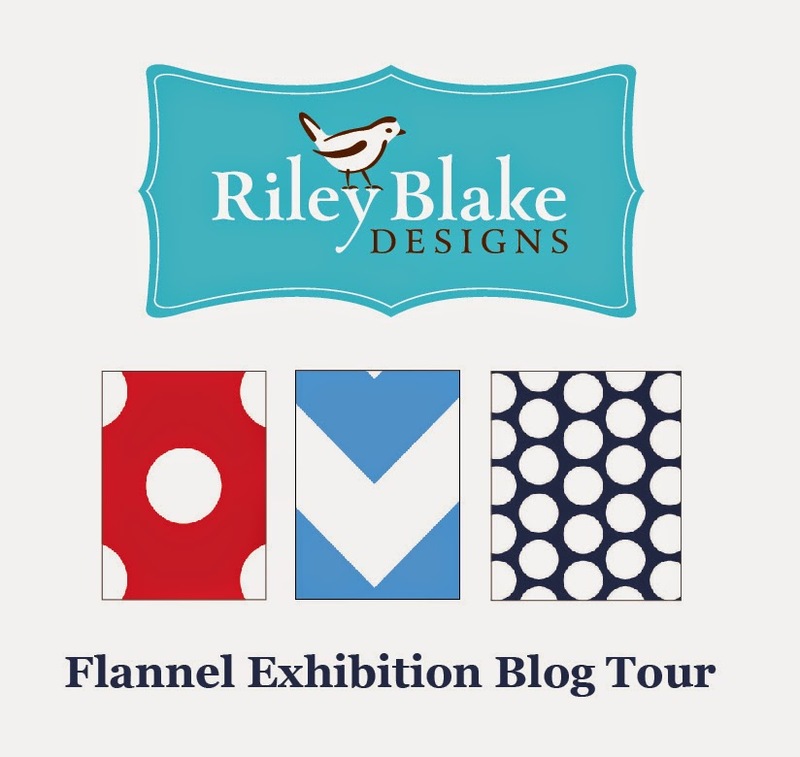 The answer is sew, sew, sew and this is my stop on the Riley Blake Flannel Showcase Blog Hop! They sent over a ton of the Home for the Holidays prints and I set to work and then enlisted P's help too. We made pillowcases. She has been asking to learn to sew and we fit it in here and there but I thought she would like stitching up some pillowcases for Christmas gifts this year. Friends of P, take note you may be getting a pillowcase this year. We had a lot of fun matching patters and picking the trim too! There are an abundance of pillowcase tutorials out there, I used this one from Cottage Mama . It is very simple, quick, and there are great pictures too. This one uses the "burrito" method and gives instructions for the finished french seams. P enjoyed her sewing session and I felt reassurance that she is growing into a well rounded young lady, sewing is a life skill and so, she will be able to mend the sail on the boat when marine biologist P sails around the world studying the blue whale. We added a ruffled cuff to one, P got to learn about gathering and pinning in detail. I am sure she will be sewing up her prom dress and/or those of her friends. The rigorous life a third grader requires lots and lots of sleep. Fortunately, she is a heavy sleeper and I successfully snuck in her room without incident. She still sleeps with her arms up like she did when she was a teeny tiny P.
I've just become hooked on making pillowcases, so I'm loving the idea of making them with flannel. Yours are just so cute! Your pillowcases look so cute and I'll bet they feel wonderful too. Nothing softer to sleep on. Love the pillowcases. Thanks for sharing.